One of the world’s most famous art galleries is demanding the return of a painting stolen by Nazi troops back in World War II. 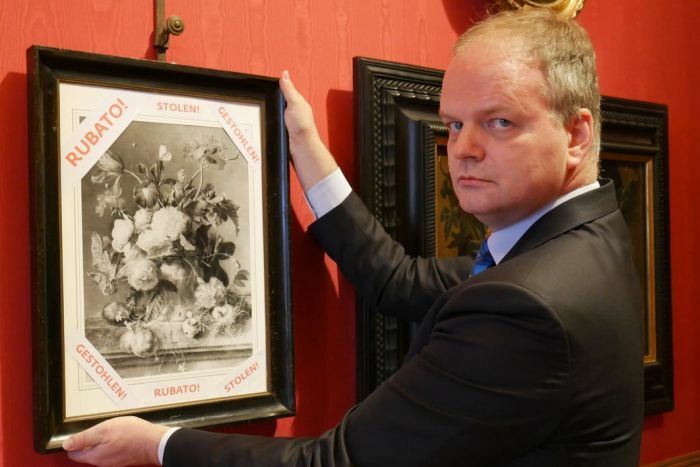 On Italian television, the director of the Uffizi Gallery in Florence, Eike Schmidt, walked a framed painting into one of the gallery’s rooms. The artwork was Vase of Flowers, a still-life by Dutch artist Jan van Huysum. 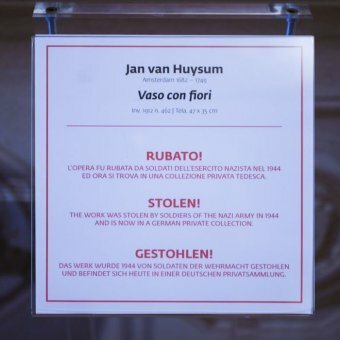 But the one hanging in the gallery is not the original oil-on-canvas — it’s a black-and-white photocopy, with the word “stolen” written around it in Italian, German and English. It’s been missing for more than 70 years, and Dr Schmidt wants the real artwork back. “The last wounds of the Second World War in the Florentine collections are still open,” he said. 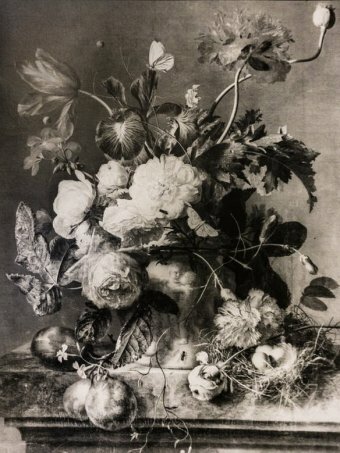 “This masterpiece, Vase of Flowers by Jan van Huysum, was stolen in 1944, and is now in a German private collection. Vase of Flowers dates back to the early 18th century, but it was first displayed in Florence in 1824. It was stolen from Italy during World War II, as German troops retreated north. The painting is now in the hands of a German family, who will only give it back if they are compensated, and the Uffizi Gallery is calling on the German Government to intervene. Lieutenant-Colonel Luigi Spadari is with the cultural heritage protection unit within the Italian police force, the Carabinieri. “The Florence painting, which is making headlines today, was shipped by a German soldier in 1944 via military mail to his family in Germany,” he said. The painting only resurfaced in 1991 after German reunification, and all attempts to retrieve it have failed. But the Uffizi Gallery says the painting is already the property of the Italian state, and therefore, it can’t be ‘bought’. It is also not the only artwork authorities are trying to get their hands on. “There are other thefts that we have saved in our database, that bring us to estimate that there are at least 8,000 works of art to be hunted around the world,” Lieutenant-Colonel Spadari said. The issue of stolen artworks during World War II has been well documented, including in the 2014 George Clooney film The Monuments Men. The Monuments Men tells the story of a World War II platoon tasked with going into Germany to rescue artistic masterpieces from Nazi thieves. Is there such a thing as a ‘right’ amount of maternity leave to take?